I've been teaching knot tying for years. As a Boy Scout you have to pass off certain knots to make rank advancements. Right off the bat I took a liking to knot tying and learned all the required knots and more. As a proactive knot learner I was the default assistant to the scout master in helping the other scouts. Since then I've been teaching as a scout master myself, and as a father. Here are a few of the things I've learned in the process. Tying knots is easy for some people and not so easy for others. Because of their three dimensional nature, they can really mess with your head (this is also why it's good to learn knots. It's excellent for the old noodle). Start with simple knots to build confidence. If you dive straight into advanced knots it's going to be frustrating and discouraging. It's not enough to tie a knot right one time. Once the person you are teaching ties it right, have them do it again. And again, and again. Then come back to it in an half hour to tie it a few more times. Then the next day. Then in a week. I still like to review knots every now and then to stay fresh. We developed a kit to help make practice more convenient. It starts with our Know Your Knots bandana which includes the to 16 knots for general outdoor use. That's paired with a set of 5' quality climbing ropes to practice with. They come in two different colors to help you see each part of the knot more clearly. These ropes are a pleasure to tie with and help relieve some of the frustration of learning knot tying. You can get your kit here. When my youngest son was 4 we started playing the "untie that knot" game. I would take a 6' length of climbing rope (we have many floating around the house for just such a purpose) and tie the gnarliest rats nest I could. Then we would time him to see how long it took him to untie it. He loves the game. It may not be knot tying, but it's helpful in learning how knots work. It's also less stressful since it doesn't require him to create anything specific. It's always easier to learn if you understand the context. I hated math until I got to geometry where you can see what it is you are trying to achieve. Then I only sort of hated it. When you are teaching knots it helps to teach why it's important to know them. I once has a scout tell me that the only knot he thought he would ever need to know was how to tie his shoes (pretty much the same way I felt about math in high school). But as an adult I have used knots and algebra, and I'm glad I know both. 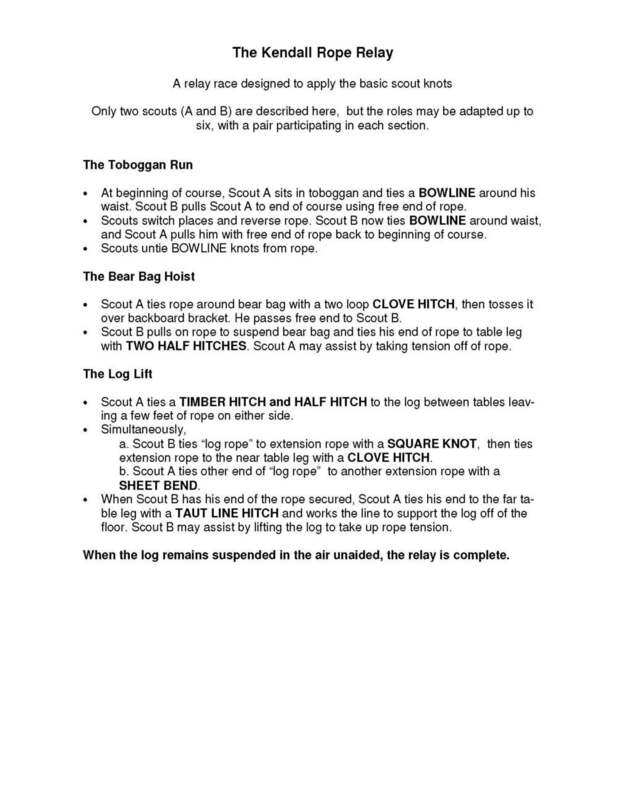 My dad (also a scout master) developed a knot relay to help put knots into context. He's been kind enough to let me share that here.